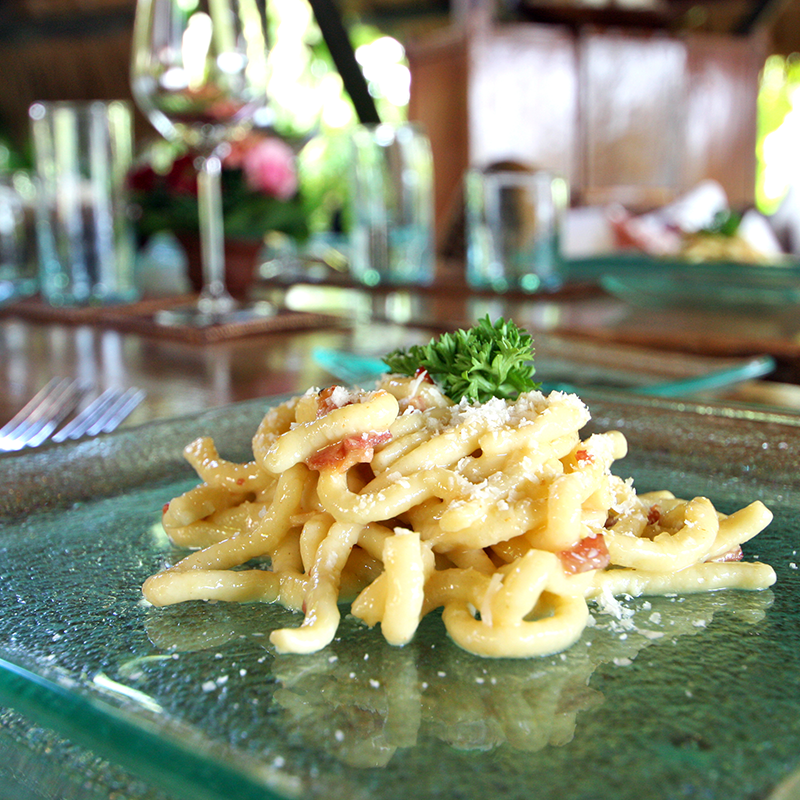 Own Gourmet means having the service and choice of an exclusive restaurant in the privacy of your Own Villa. The cuisine offers an elaborate mix of Western and Eastern inspired dishes, local Indonesian and Balinese treats, as well as authentic Italian flavours with a wide selection of fresh homemade pasta. You can enjoy our culinary suggestions in the dining room, pool-side, or in the comfort of your bedroom. The staff cooks every meal from scratch and can therefore satisfy any dietary requirement, food allergy or intolerance. A wide variety of vegetarian, vegan, gluten free and dairy free options can be experienced. Download part of our menu and get inspired!